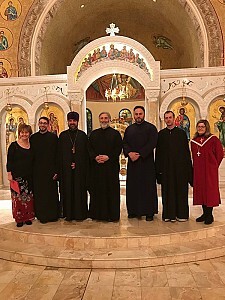 On Friday, March 16, 2018 local Orthodox parishes in Columbus Ohio organized a Great Lent Pan-Orthodox Concert to support the lung transplant for Fr. Deacon Sergey Chebotar from Saint Sergius Russian Orthodox Cathedral in Cleveland, Ohio. The Great Lent Pan-Orthodox Concert was held at the Annunciation Greek Orthodox Cathedral in Columbus. The Supplication to the Most Holy Theotokos service started at 6:00 p.m. and if was followed with the concert. 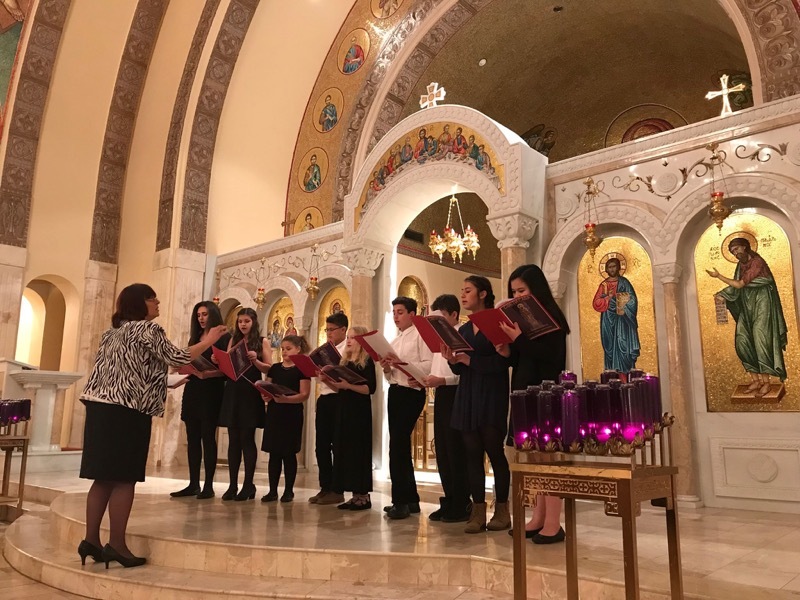 The concert was opened with a beautiful performance of the Church choir from the Annunciation Greek Orthodox Cathedral. Saint Stephen of Decani, Serbian Orthodox Church was represented by the Youth Choir that performed the spiritual songs of St. Bishop Nikolaj of Ohrid and Zica. The audience was very moved by the beautiful performance of the youth and they were given a round of applause. In conclusion of the concert, Saint Sergius Russian Orthodox Cathedral Church Choir, directed by Fr. Deacon Sergey Chebotar, amazed everyone with their outstanding performance. The climax and highlight of the concert was a soloist performance by Fr. Deacon Sergey Chebotar. The most recent specialist diagnosis for Fr. Deacon Sergey was that his lungs are functioning at only 18% capacity. It is absolutely amazing that he is able to sing so beautifully at only 18% lungs capacity. At the end of the concert; donations to support the lung transplant were collected. We are grateful to Antonia Bojanin from St. Stephen of Decani Church for coordinating this event with all the parishes that participated. Anyone willing and able to support this great cause please contact Archpriest Ilia Marzev (440-382-9763) the Cathedral Rector of Saint Sergius Russian Orthodox Cathedral in Cleveland, Ohio. We all gathered at this concert to help Fr. Deacon Sergey but in the end we all realized that it was us that received more than we gave on so many levels.